The redevelopment of the WE Global Learning Centre was completed in the fall of 2017, and proudly houses the WE Charity. 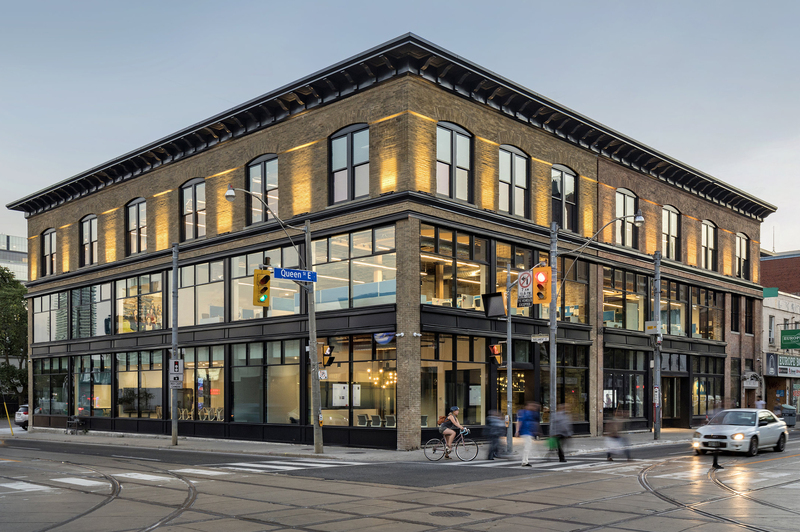 Toronto lighting design firm Studio 1112 was selected to devise the new lighting plan for the centre and Chris Gagnier and Wayne Thomson were excited by the challenge of lighting this classic historic building. Prior to its renovation, the building’s exterior was painted bright blue, creating a well-known aesthetic on the corner of Queen Street. Although the WE Foundation wanted to keep this level of interest in the building high, they wanted to do so in a refined way utilizing dramatic lighting instead of color. To accomplish their design objective, the façade was stripped down to its original brick and Tempo’s C6RX Exterior luminaires with 3500K CCT at 910 lumens/foot were used to wash light down from the top floor of the building.